You've made your order, received your order confirmation and now you're waiting for your ticket barcodes. So, what do you do next? For most events you will not receive your ticket barcodes straight away as we usually send these out via email two weeks before the event. If the event you're attending is more than two weeks away, you can sit back and relax! 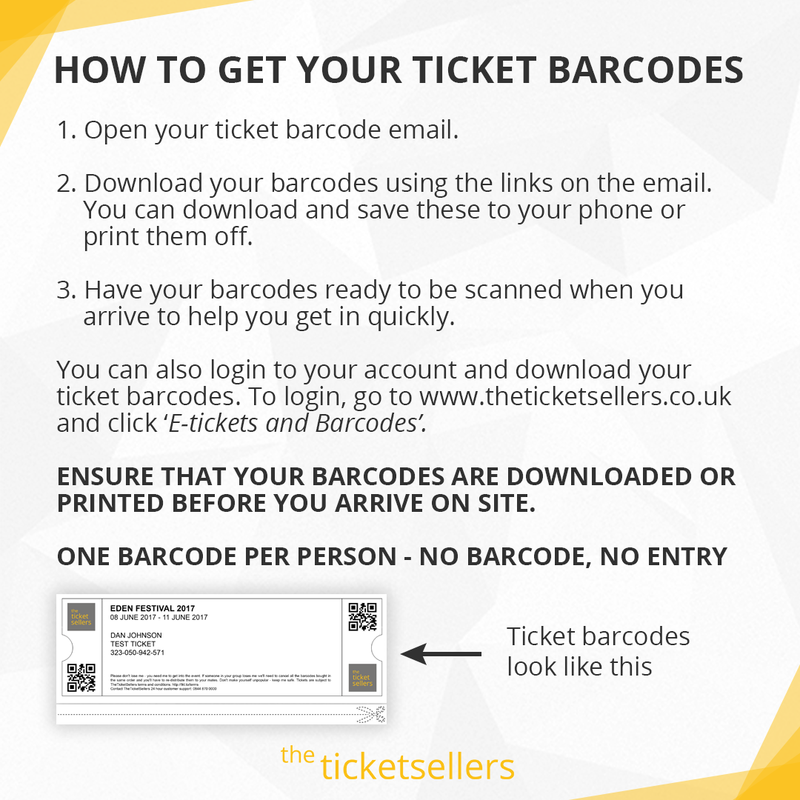 If the event is less than two weeks away you should have an email with your ticket barcodes on - Here's a handy guide to help you get your tickets download and ready to be scanned when you arrive at an event. 1. Open your ticket barcode email. This will look something like the image below and will have the subject Your ticket barcodes for EVENT NAME [Order XXXXXXX]. Please note: this email will be separate to your Order Confirmation - Your Order Confirmation email will NOT contain your tickets. 2. Download your ticket barcodes using the links on the email. You'll have one barcode per person / ticket purchased. You can download and save these to your phone or save them to your computer and print them off. If you've got an iPhone you can click Add to Passbook (Passbook is now called Wallet) and this will save them to the Wallet app for easy access. You may also screenshot your ticket barcode, however please make sure you're zoomed in on one of the barcodes and that the ticket number is still readable. You can also login to your account and download your ticket barcodes. Click here to login then click on E-Tickets and Barcodes to access your tickets. Barcodes will look something like this. 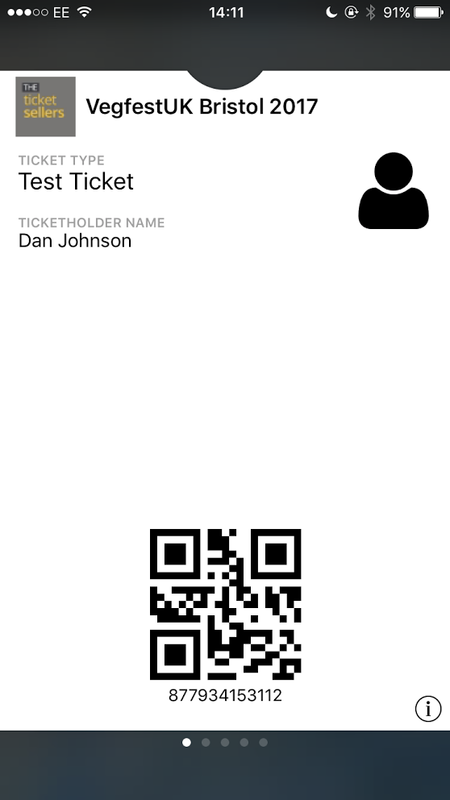 Tickets saved to passbook will look like this. 3. Have your barcodes ready to be scanned when you arrive on site to help you get in quickly. Mobile signal can be very weak at festivals and events, so ensure that your barcodes are downloaded or printed before you arrive on site. 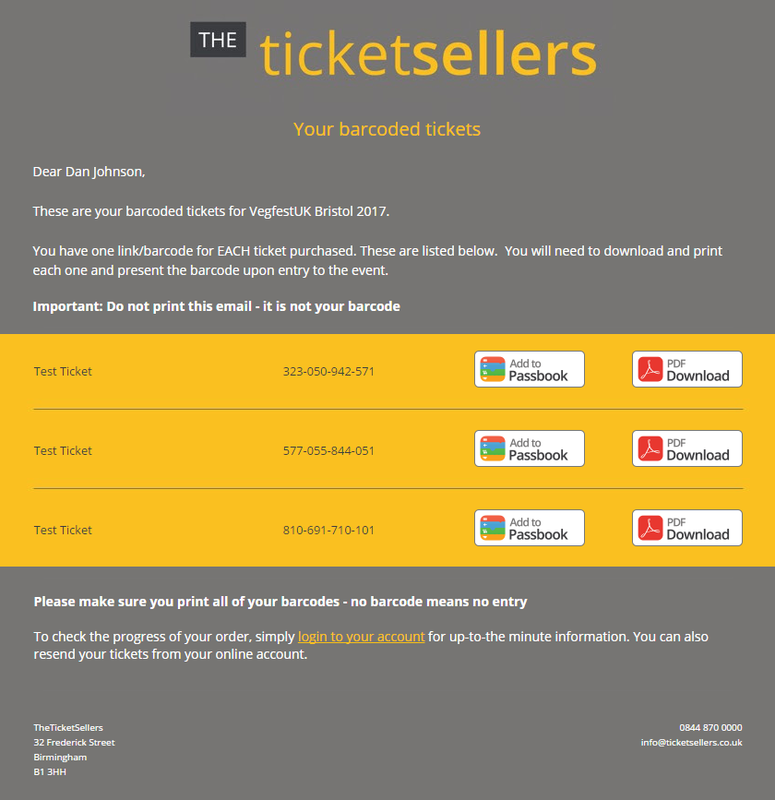 If you do not have your barcode email please check your Junk and Spam folders and if you still can't find it, drop us an email on info@theticketsellers.co.uk and we'll get it resent to you.